I’m now on Livestream twice a week. On Mondays I’m there sharing my artwork and on Thursdays I’m doing mini card readings parallel to my Oracle Thursday on Inspired Art and Living on Facebook. From today I’m going to be sharing the link with you here on ‘Inspired Art and Living’ in a blog post. 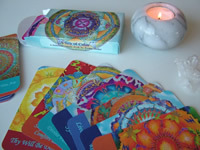 I also pick a general group card for anyone listening in so come and hear what came up for this week. I’m going to be running a little poll on the FB page to see what time really suits everyone best so that you can join me live. Do join me next week and let me know what your thoughts are. And you can tune in to Blog Talk Radio on Sundays for more live readings. Click on the ‘Radio‘ tab at the top of the page for more details. It’s toll-free to call in from anywhere in the US and if you live elsewhere on the globe, you can connect via Skype. 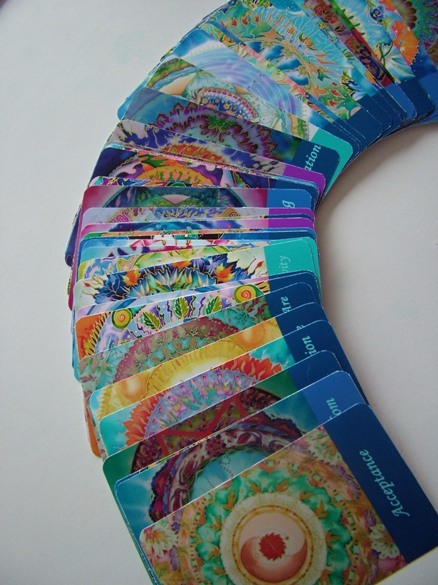 If you’d like to work one-to-one with me and have an individual reading done, please have a look at the ‘Card Readings‘ page and you’ll find all the details there. I look forward to hearing from you. 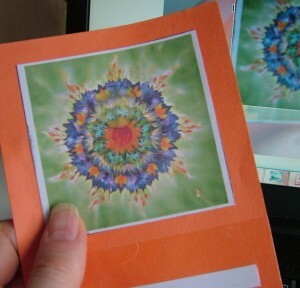 This entry was posted in CARD READINGS and tagged card readings, Fiona Stolze, fionastolze, inspirations, inspired art and living, intuitive readings, live card readings, Livestream, mini card readings, oracle cards, tarot cards. Bookmark the permalink.